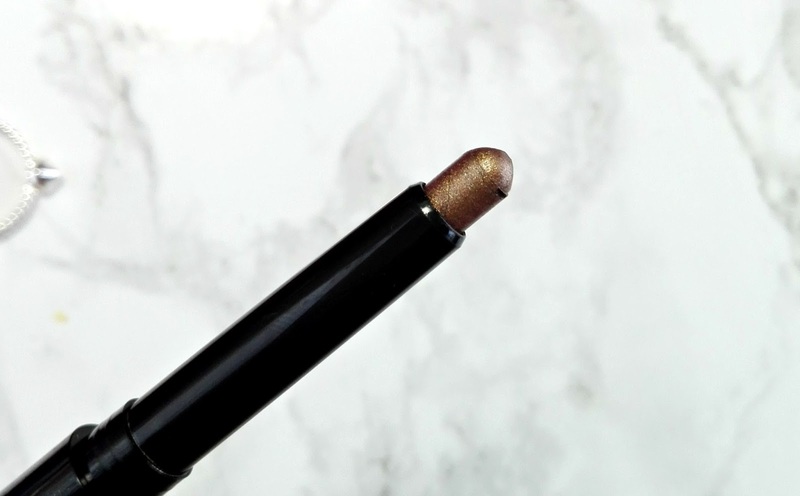 I don't really use eyeshadow sticks, I only have one from Catrice, that I made a review here. I didn't use that one a lot, because it's such a light shade that just blends into my skin and it barely shows up on my eyes. 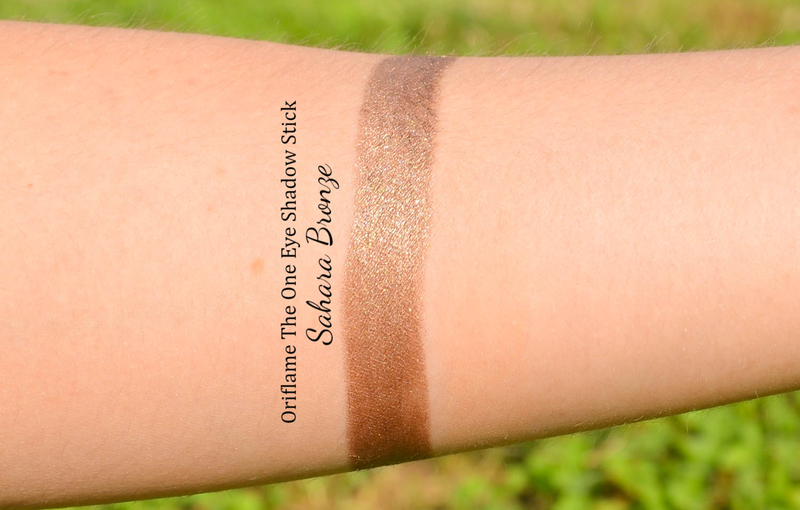 But this Oriflame eyeshadow stick made me fell in love with them. 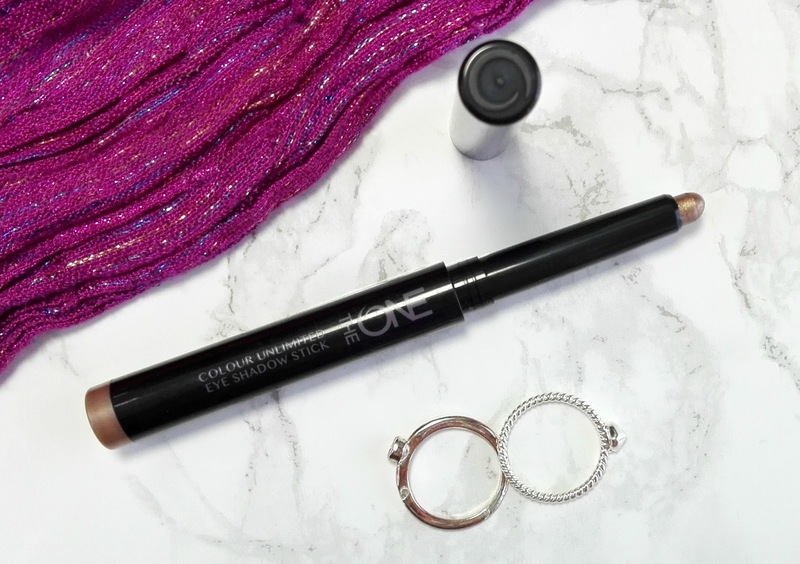 Oriflame The One Color Unlimited Eye Shadow Stick comes in a black slim packaging. The end of the packaging shows you which shade is inside. The product comes out by twisting. There is 12g of product in the packaging and it normally costs 6,99€, you can get it here. They come in 9 shades, I got the shade Sahara Bronze. It's a gorgeous warm coppery gold shade, it also contains some shimmer. The consistency is very creamy and pigmented. When applied, it can move a bit, but after a minute it sets and it doesn't crease or move around throughout the day. I use it as a base and on top, I apply the golden eyeshadow from Avon's True Color palette in shade Mocha Latte. It comes out a perfect golden shade that makes my green-blue eyes pop. 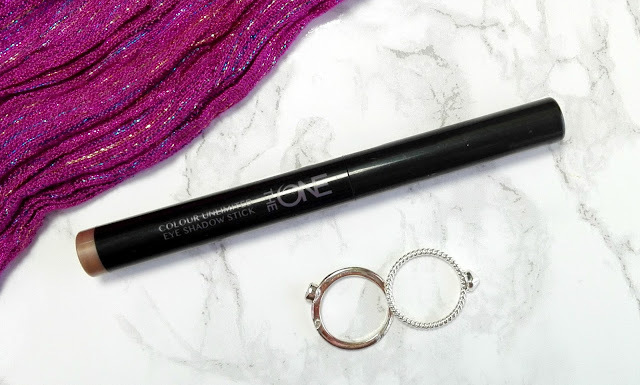 Overall, I love it, it is a perfect consistency and it lasts pretty long on my oily eyelids, but if I apply an eyeshadow on top it lasts the entire day.